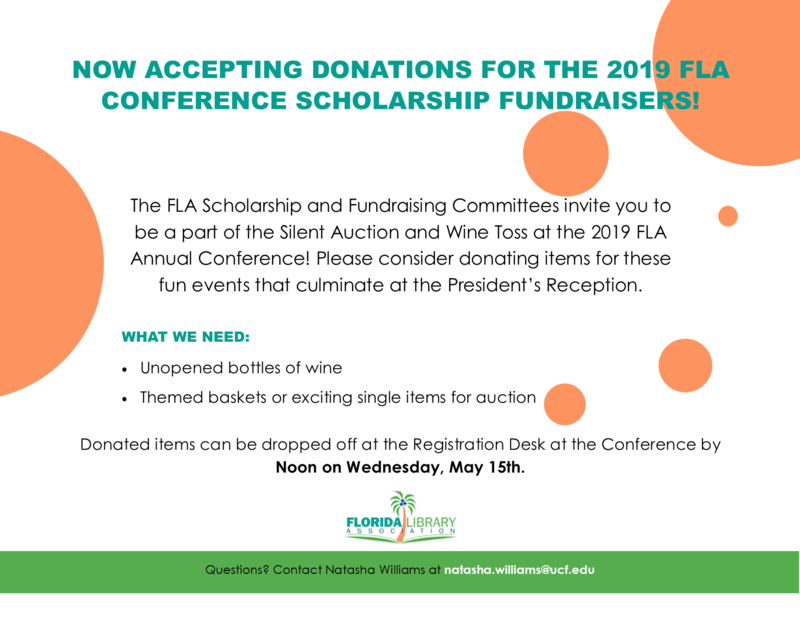 WHY BECOME A FLORIDA LIBRARY ASSOCIATION SPONSOR? Maximize your investment in Florida. After a successful 2018 conference, with more than 670 librarians and support staff in attendance, the 2019 conference is one you will want to be part of. Take advantage of this special opportunity to feature your company or organization, and what you have to offer to librarians from across the state. As a Conference sponsor, you will maximize your investment. Thank you for supporting Florida libraries! Support and grow your loyal customer base. Increase the visibility of your company and brand at the Conference beyond the exhibitor booth. Show support for the Florida library community. Give back to those who have made investments in your products and services. Did someone say Casino Night?! This is an exclusive sponsorship where we can provide you with a speaking opportunity in front of 400-500 librarians who attend this event. You can present from the stage with a microphone; keeping in mind there will be some chatter due to the nature of the event. We will be having a lot of great activities to attract attendees: Casino Tables, Silent Auction and Wine Toss and great food and beverage! Breakout room for vendor lunch/learn for 1.5 hours with A/V is $500 + the cost of the food/beverage order. Format to be determined by vendor -- either as an "invitation only" function or open to first come first serve. Promotional piece (purchased and shipped by sponsor) inserted in all conference attendee bags. NOTE: Sponsor must provide a quantity of 700 of the item. Sponsor must provide shipping prior to the event to drayage company or to the FLA office.